NOTE: This content is old - Published: Saturday, Jul 29th, 2017. 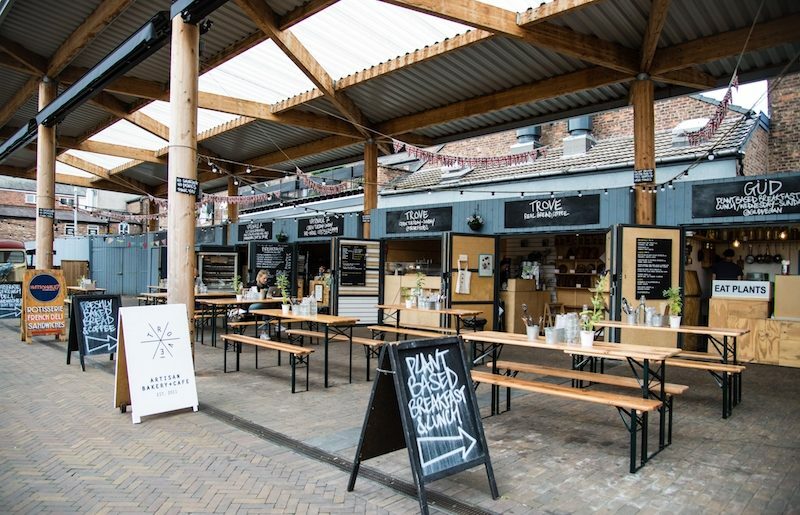 Students at Wrexham Glyndwr University recently gained an insight into how the regeneration of an old market has prompted a wider change in attitudes towards the town centre. 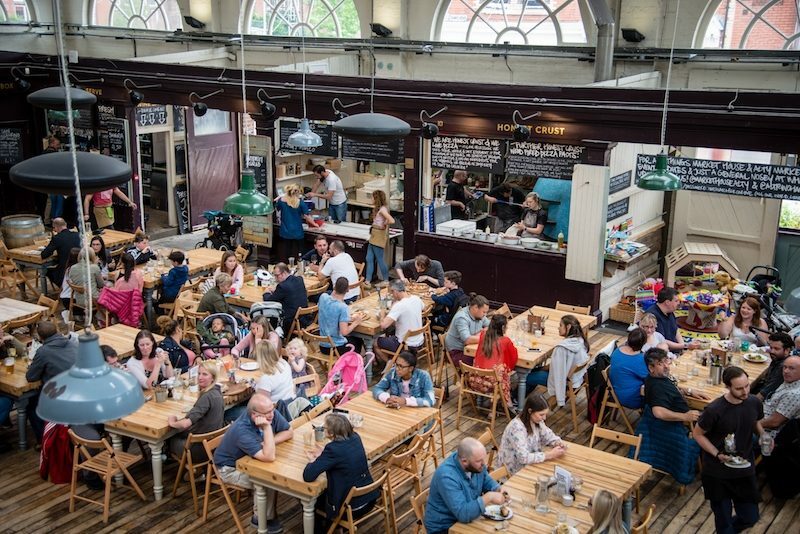 The students, from the University’s Hospitality, Tourism & Events course, spent the day at Altrincham Market in Greater Manchester to see first hand how traders at the site have evolved their offering to suit modern ways of shopping. They were joined by senior officers from Wrexham County Borough Council’s Business, Markets and Tourism team to discover more about an effective trading market ahead of the opening of the new Oriel Wrexham People’s Market next year. It enabled the students to interview traders in the market and understand the importance of food tourism on a town such as Altrincham. Jacqueline Hughes-Lundy is the Hospitality, Tourism & Events course leader at Glyndwr University and she said: “The opportunity for our students to spend a day with tourism, markets and business support staff from Wrexham Council was really beneficial – plus we all valued the chance to see first-hand how traders at Altrincham Market have developed their offer to stay ahead of the game and support independent local producers. The Hospitality, Tourism & Event course at Glyndwr University was established back in 2014 and the students are offered the opportunity each year to work alongside the tourism and events staff at Wrexham Council to develop their skills, gain experience and knowledge of the industry. Speaking about the relationship with the University, Destination Manager at Wrexham County Borough Council, Joe Bickerton said: “With North East Wales continually growing as a competitive tourist destination, we’ve always been really keen to offer insight and opportunities to students so that when they graduate – they have the best chance to get their career off to a good start in the local area. “In the last few years, the group have helped us with lots of activities including the launch of the Wrexham Sheep Trail, the launch of their own ‘Taste of Wrexham’ recipe book, work experience in the Tourist Information Centre and various events in the markets and wider County.